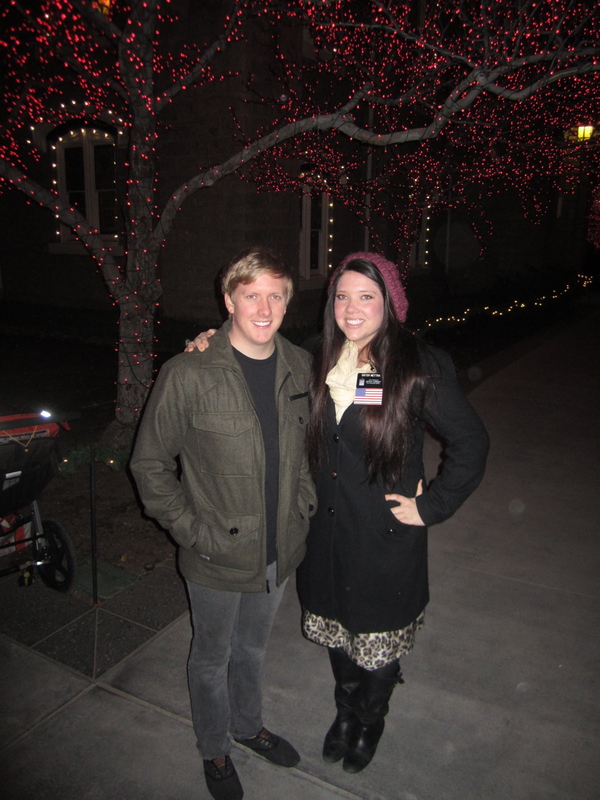 It's a tradition that we go see the Christmas lights on temple square, even if we happen to spot a little lady with a tag. In real life.. we didn't try to find her this time. This tree really was the coolest. It was orange! Owen opting for the closed mouth smile. Almost all the kidlets in my fam. Brek- you missed out. Owen kind of in shock that we are going to keep him out in the freezing cold. It's a good shot for the jaw line but DANG didn't do a thing for my mid section. You look awesome Kira, I can't believe you still haven't felt contractions. 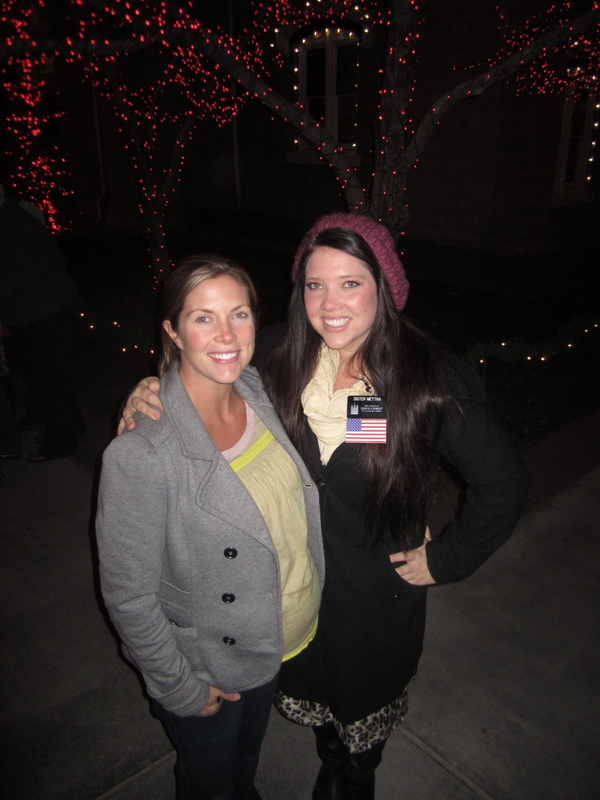 Those pictures are so festive, love Temple Square and the sister missionaries. Good luck again tomorrow! Good luck, Kira! Can't wait to see pictures of baby sister. You look great, by the way. Maybe we can see you guys over the holidays?